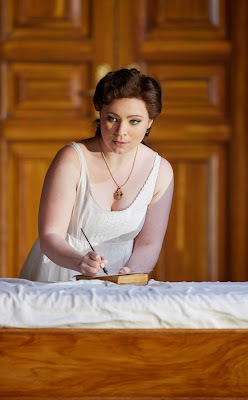 This Summer soprano Natalya Romaniw made her role debut in the title role of Janacek's Jenufa at Grange Park Opera (see my review) just the latest in a series of striking role assumptions that she has made in the last year with Tatyana in Tchaikovsky's Eugene Onegin at Garsington Opera (2016, see my review) and Lisa in Tchaikovsky's Queen of Spades at Opera Holland Park (2016). Natalya has also been nominated as a Breakthrough Artist in the Southbank Sky Arts Awards. 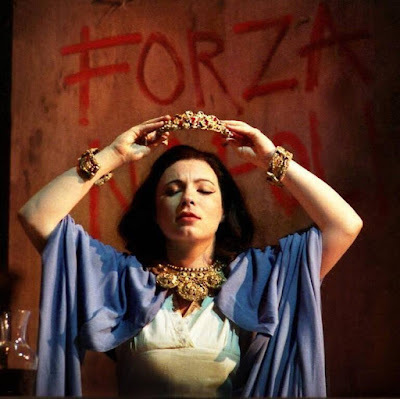 Having followed her career with interest since I saw her in Poulenc's Carmelites at Guildhall School of Music and Drama (2011), not to mention stunning performances in Wolf-Ferrari's I gioielli della Madonna (2013) and in Montemezzi's L'amore dei tre re (2015) at Opera Holland Park, I recently met up with her to find out more. 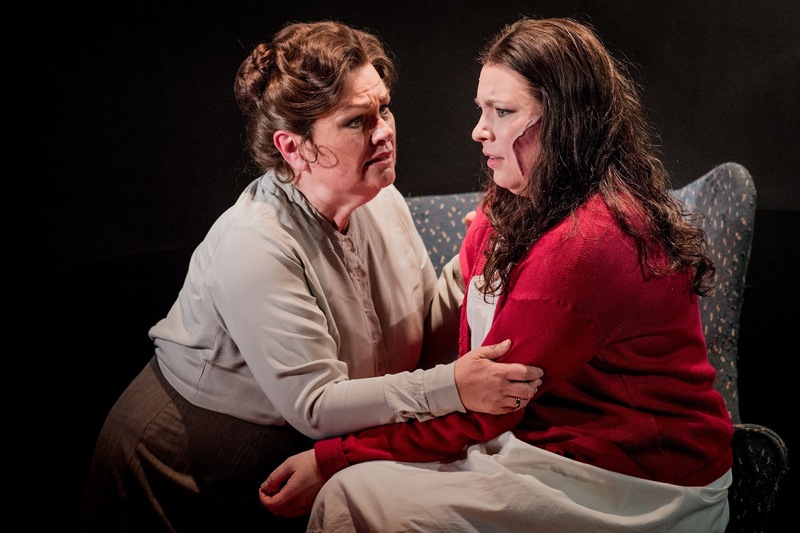 When we meet, Natalya is still in the middle of her performances in Jenufa at Grange Park Opera, finding the role beautiful, even though rather harrowing. She is also enjoying the new theatre, and finds it helpful to sing in as it does give a bit of feed back to the stage. She loves the Slavic heroines and feels that something in the Czech and Russian operas seems to resonate with her. They are also roles in which everyone wants to hear her. She will be performing Tatyana again with Welsh National Opera (WNO) in September 2017, and in a new production directed by Oliver Mears at Scottish Opera in 2018. Natalya's grandfather was Ukrainian and settled in South Wales, and we talk about the links between the Ukrainian language and the Russian and the Czech languages. Her grandfather encouraged her to sing; he played the accordion and she played flute with him but she was so bad at the flute that she took up singing instead. 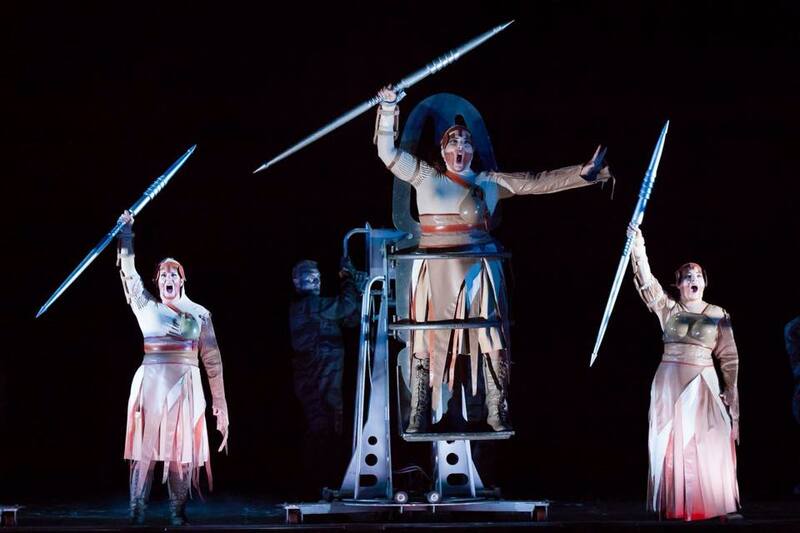 She finds it a privilege to be working with WNO, her home company, though this will not be her debut with them. After she was scheduled to sing Tatyana with WNO she asked if she could cover the title role in Madama Butterfly (in the WNO 2016/17 season), and she had to go on for a single performance, her debut with WNO and her role debut, she describes it as a brilliant experience. She loves Butterfly and she promises that we will hear more of her in the role. Since first hearing her in college, many of Natalya's roles in the UK have been relatively unusual ones. Whilst she sang the Foreign Princess in Rusalka with Scottish Opera and the Governess (Turn of the Screw) with Glyndebourne on Tour, roles such as Mimi in La Boheme, Micaela in Carmen and Rosalinde in Die Fledermaus were at Houston Grand Opera where she was on the young artist programme. In fact, her range of roles in the UK has been just the way it turned out, though she feels that it has played to her advantage. As a young singer with a developing voice, singing a more unusual role such as Maliella in I gioielli della Madonna takes the pressure off as there is little to compare it to. But if she was doing lots of Mimis there would inevitably be comparisons to artists like Mirella Freni. 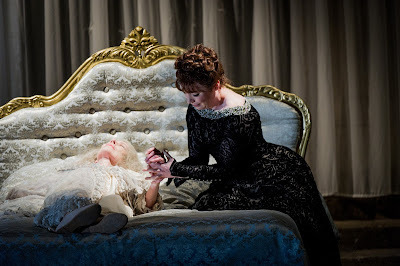 In fact, the run of UK roles rather owes its origins to that first role as Maliella in I gioielli della Madonna with Opera Holland Park (the first UK professional staged performances of the opera). The role of Maliella is characteristic of Natalya's role development at the moment, it is quite a big role but one where you need to be lyrical too. Whilst her voice is developing dramatically, she is aware of the need to keep things lyrical as well. She has been appearing in Jenufa with Susan Bullock (making her role debut as the Kostelnicka) and Bullock has been mentoring Natalya since she was at the Guildhall School. Natalya talks about Bullock as being an object lesson in someone knowing how to look after a dramatic voice and having an enviable longevity. During Act 2 of Jenufa in the production at Grange Park Opera (borrowed from WNO), whilst the character of Jenufa is mostly off stage in her bedroom, because of the production Natalya can see through the scrim and watched Susan Bullock intently, impressed at the way she worked and the freshness of the top of her voice. Natalya is in no hurry to sing Wagnerian roles, even the jugend-dramatisch ones, she thinks that there is plenty of time to consider these later. She has sung 'baby roles', singing in Ortlinde (on the the Valkyries) Wagner's Die Walküre in Houston with a cast including Iain Paterson, Christine Goerke and Karita Mattila. And even if a young singer has the voice and the vocal tools to sing Wagner, these are roles which require pacing and stamina, not to mention life experience. When Natalya first came to the role of Tatyana in Eugene Onegin, with the Letter Scene she had never sung an aria that long before. But taking that experience and nurturing it provides her with a good foundation for the bigger stuff. Yet, at the moment Natalya is keen to explore the more lyrical side of her voice. She will be singing the title role in Dvorak's Rusalka in 2020 in the UK. She has already sung the Foreign Princess in this opera with Scottish Opera, and she comments that when people hear her they think of the bigger temperament roles but she wants to sing the lyrical ones too. She also has plans to return to the role of Mimi in La Boheme (a role she has sung in Houston). When she was being coached in the role in Houston it was pointed out to her that Mimi has only 20 minutes of music, whereas Butterfly is on stage and almost never off, constantly singing. In fact, she has plans for the three main Puccini heroines, Mimi, Butterfly and Tosca, with Tosca coming last though she is already studying the role. She watched performances of Tosca at this season's Grange Park Opera, was so excited by the role. Natalya has been nominated as a Sky Arts Breakthrough Artist, and with the winner announced at a ceremony on 9 July 2017. She has no idea how they are going to make the decision as the nominated artists are all from such different fields. 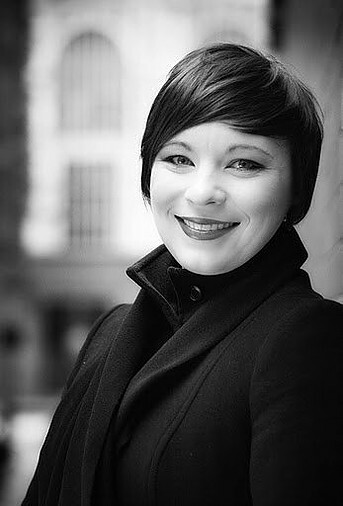 She thinks that her being nominated was to do with her debut as Tatyana at Garsington Opera, when Hugh Canning (opera critic of the Sunday Times) not only reviewed the opera but did an interview with her, and she was making her role debut as Lisa in Queen of Spades with Opera Holland Park during the same season. Debuting as Tatyana and Lisa during the same season was a big learning experience, she found Lisa a bigger role but enjoyed singing them both. Tatyana was less dramatic, and she has a vulnerability about her, but the final scene proved a real foundation for developing the role of Lisa, and Natalya also found a vulnerability in Lisa. Singing the role of Lisa is a lot about stamina, and Natalya feels that she learned a lot including being brave enough to sing softly. Queen of Spades is a long piece but Natalya found it paced well for her, except at the end where you have to 'get on the conveyor belt, and stay on!'. She admits that she can't sing everything even if she wants to! Natalya was on the young artist programme at Houston Grand Opera from 2012 to 2014, and she found the experience very different to studying in the UK (where she was at the Guildhall School). She loved her time in Houston and found it very valuable, but it was not the easiest of experiences. There was very much a change in culture, and she found the Americans more focused on technique whilst the British were focused on artistry, and she comments that ultimately an artist really does need both. So, her time in Houston was challenging but she feels it was where she learned to sing. During her two years in Houston she did a lot of roles on the main stage, and regards herself as very lucky. She was the alternate cast Mimi in La Boheme, had two minor roles in Il Trovatore, was in Weinberg's The Passenger, and sang Rosalinde in Die Fledermaus. Though Natalya had seen Die Fledermaus at WNO and enjoyed it, she admits to finding Rosalinde a 'thankless role' and though it can be made to work with her voice she is unsure whether she would want to do it again. She also played Micaela in Carmen which she feels was casting against her temperament and her gut instinct was that she would prefer to play to the title role, but she admits that she can't sing everything even if she wants to! Tatyana was a long-time dream role, one which she studied whilst at the Guildhall School and always wanted to do on stage. And Natalya feels lucky that in the next three or four years she is going to be able to sing most of the roles that she currently wants to sing, though she admits to wanting to sing Santuzza in Cavalleria Rusticana but feels that this is another role where you need experience, and to have lived a lot. She sang Tchaikovsky's Iolanta at the Guildhall School, and would love to sing the role again, and having done Jenufa she would love to sing Kat'a Kabanova, though she feels that the role of Emilia Marty in Makropoulos Case is some way off yet. At the moment, every single role is new and she finds it a gift to be able to sing a role for the second time. Natalya always wanted to combine music and drama in her career, but it was only her teacher John Evans at the Guildhall School who introduced her to opera. Though everyone always said that she had a big voice, she is not a dramatic soprano yet and she was always encouraged to leave the voice as it is and simply let it develop. Whilst at the Guildhall School, John Evans gave her homework to name the top five sopranos of the day. But at the age of 18 she was not interested in contemporary singers, she was only interested in her grades at school, but John told her to get interested or go and work in Marks & Spencer (where she had a part-time job when a student). So she started to go to see operas, and to get interested. She admits to preferring old-school sopranos. She loves Callas, feeling that though it was not the most beautiful of voices she sang with absolute integrity. Another soprano she admires is Mirella Freni, one who always sang lyrically and always sang with what she had, and never pushed.